For those of you thinking about purchasing your first home, come on out to Keller Williams next Wednesday night April 5th, 2016 from 6:00 -7:30!! 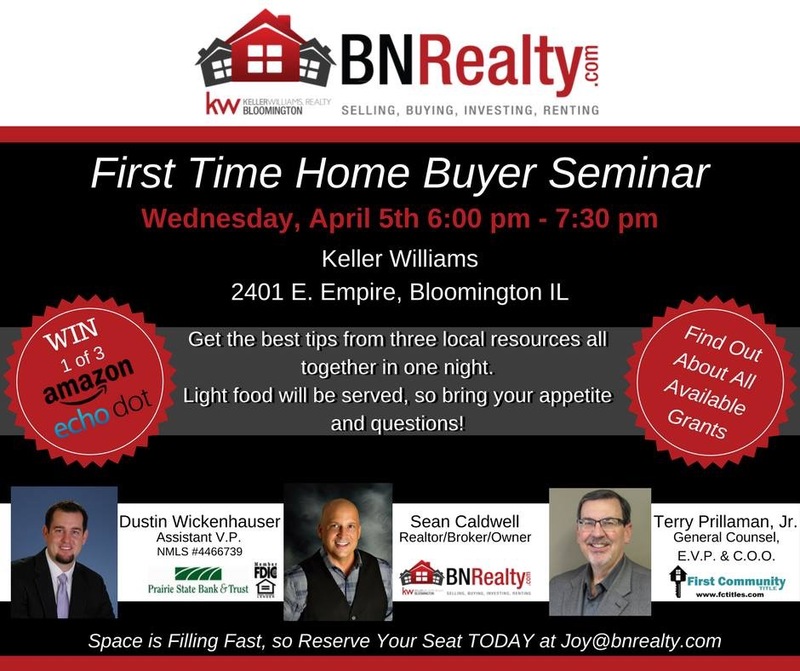 Dustin Wickenhauser with Prairie State Bank, Terry Prillaman with 1st Community Title and Sean Caldwell – Realtor with the BNRealty Team at Keller Williams Realty Bloomington-Normal will present and answer all of your questions. So, if you’re curious about the process, please join us for an exciting and eye-opening discussion. Call 309-319-6030 or email Joy@BNRealty.com to reserve your spot!